Graco's Pack 'n Play Playard Jetsetter, in Rockweave, is the premier playard for traveling with baby. Its lightweight frame is designed to make being away from home with baby easy for you, since it folds compactly into a portable backpack. Despite its small size, it's packed with features to keep baby comfortable. 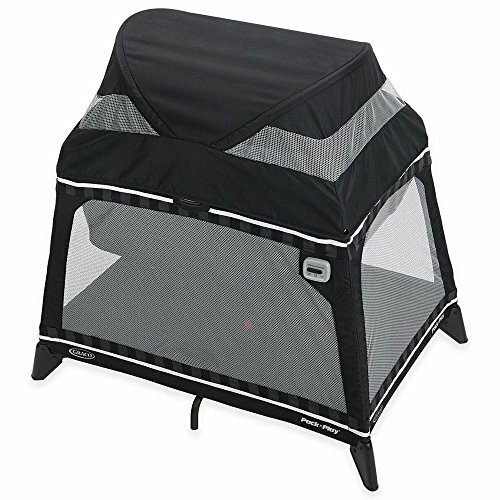 It features a full-coverage, light-shielding domed canopy with airy mesh sides for maximum ventilation, portable changing pad and a cozy nest bassinet with built-in vibration. It easily transitions from newborn to toddler, since the wide base gives your growing child plenty of room to play.